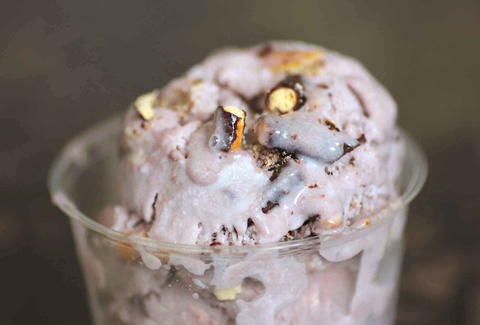 What's The Difference Between Ice Cream, Gelato, and All the Others? The dairy world can occasionally be a daunting place, with people throwing all sorts of names for frozen treats at you like the least intimidating game of dodgeball ever. Sure, there's the ever-familiar "ice cream", but what the hell is this "gelato" stuff that your Mom keeps swearing by, really? And how is it different from frozen custard? To help you discern what you're up against this Summer, we enlisted the knowledge of Three Twins Ice Cream's founding twin and dairy expert Neal Gottlieb, whose California company boasts the largest dedicated organic ice cream factory in the United States. So the dude's legit. 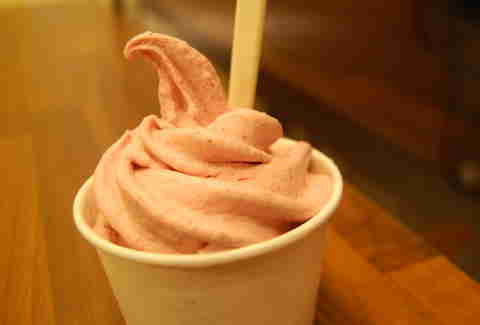 In the United States, this is actually a federally defined term for a frozen dessert made with no less than 10% milkfat (sometimes called butterfat, but a rose by any other name would taste as creamy) and no more than 100% overrun, which is the percent by which the base is increased in volume by churning in air during the freezing process, meaning that it is no more than 50% air. That guy at the farmer's market hawking vegan hemp-seed ice cream isn't selling ice cream, but rather a non-dairy frozen dessert. While "gelato" is said to be the the Italian word for "ice cream", that's like saying "cricket" is the British word for "baseball". In Italy, gelato is a frozen dessert that is traditionally made with whole milk and without added cream, meaning that the milkfat percentage is around 3.8%. It is also traditionally free of eggs and stabilizers. 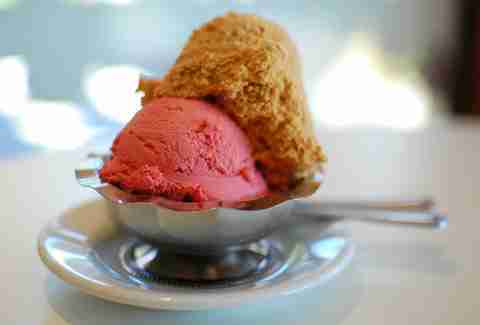 Traditionally, gelato has very little air whipped into it while freezing, leaving it rather dense, and is not hardened in a blast freezer like ice cream, so it is served semi-frozen near the consistency of soft-serve. 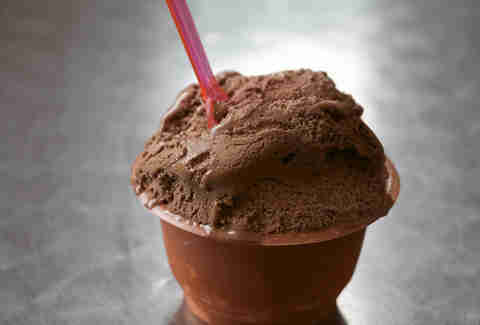 However, because gelato is not a legally defined term here in the Colonies, one most often finds a bastardized version over here. The low milkfat and lack of hardening of traditional gelato makes it unstable and prone to getting icy in a day or two, so it's unsuitable for life on a grocery store shelf. That so-called "gelato" that you bought in the fancy container at your local market is actually low-fat, gummed-up ice cream in a nice Italian suit. Frozen yogurt -- or "fro-yo", as college girls going out for midnight runs wearing flannel pajama bottoms have called it for generations -- is not a term defined by the federal government, although it is defined by some states. Generally, it's a frozen dessert that is lower in fat than ice cream, somewhat tart, and contains yogurt cultures that may or may not be alive and active. It can be served as hard-pack or soft-serve (the preferred form), along with copious amounts of toppings, for the earlier-referenced girls in pajamas. From the land of corn and deep-fried Oreos comes a delicacy that has inexplicably remained a localized Midwestern gem out of the reach of most coast-dwellers. Like ice cream, the FDA dictates that frozen custard must contain at least 10% milkfat, but it is differentiated from ice cream because it must also contain at least 1.4% egg yolk solids by weight. 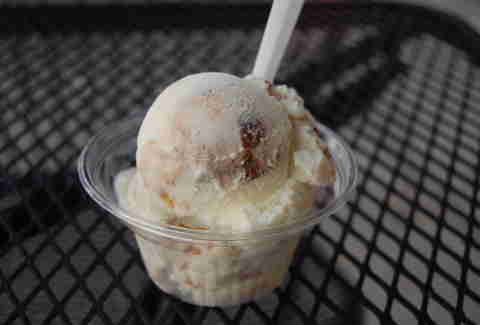 Frozen custard is usually frozen shortly before serving and not hardened, so it has the consistency of soft-serve. It can be hardened and sold packaged in grocery stores... but that takes away some of the fun. The most important thing to know about sherbet is that it does not contain a second "r" before the "t", and therefore it does not rhyme with Herbert. In the United States of America, Uncle Sam dictates that sherbet is a fruity frozen dessert that contains 1-2% milkfat. Popularized in rainbow form. And by your Grandma. 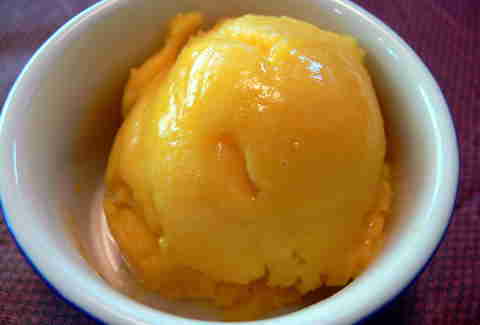 While similar to sherbet in that it is a frozen dessert made with sweetened water paired with a flavor of some sort, sorbet does not contain dairy products. 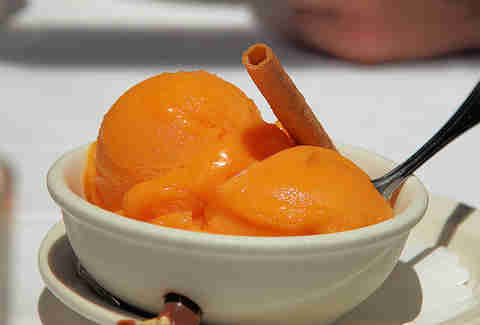 Sorbets are often made from frozen juices or purees, but can also be made from ingredients such as cocoa. While sorbets don't contain dairy products, they aren't always vegan, as egg whites used to be quite the trend in sorbets among the aristocratic set, and that tradition is sometimes continued. You won't get sent to prison for misidentifying a sorbet, as it is not a federally defined term. Adam Lapetina is a food/drink staff writer at Thrillist, and is going to be a huge hit at dairy parties now. Read his musings on Twitter at @adamlapetina.